At this Wednesday's meeting, we had 16 members present as well as 2 guests, Maricarmen Obregon and visiting Rotarian: Carol Brock from Coral Galbes. Tina is doing the Rotary Moment this month. She will be talking about Rotarians she has met that have had an impact in her life. She told us about meeting Stephen Mwanje. In 2010-11, Mwanje was governor of District 9200, which then included Ethiopia, Eritrea, Kenya, Tanzania, and Uganda. As he was researching options to address Uganda’s lack of health care, he crossed paths with Marion Bunch, an American Rotarian who had founded Rotarians for Family Health & AIDS Prevention in 2004. Their collaboration resulted in the country’s first free health clinic, organized by Mwanje in 2011. 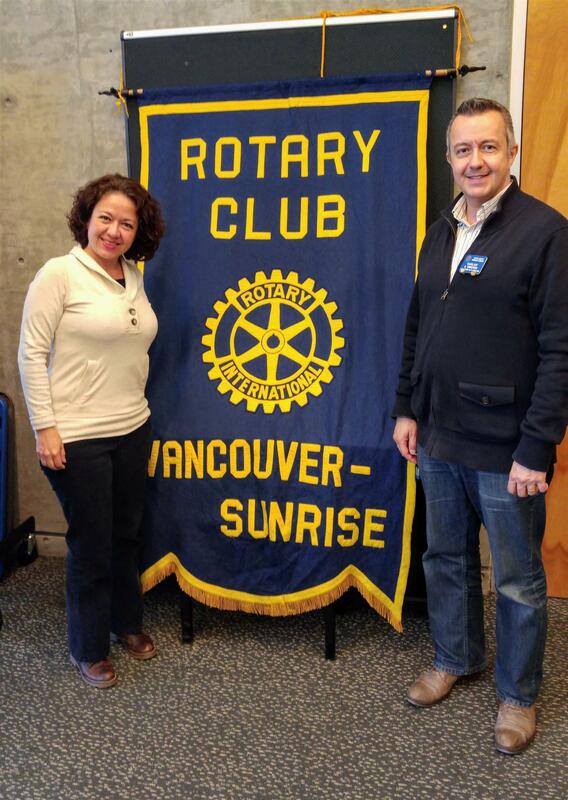 We are sponsoring 3 Rotaractors to attend the district conference in Whistler.